The start of the 2019 NFL Draft is less than a week away, but it appears there are still a number of different ways the Buffalo Bills could go with their ninth overall pick. @ConnorJRogers What's the worse case scenario for the Bills in your opinion? Off and running on @SiriusXMNFL with @jetswhispers. Of course, there is a whole lot of #NFLDraft2019 talk. Give us a shout at 877-NFL-KICK or hit us with your questions here. 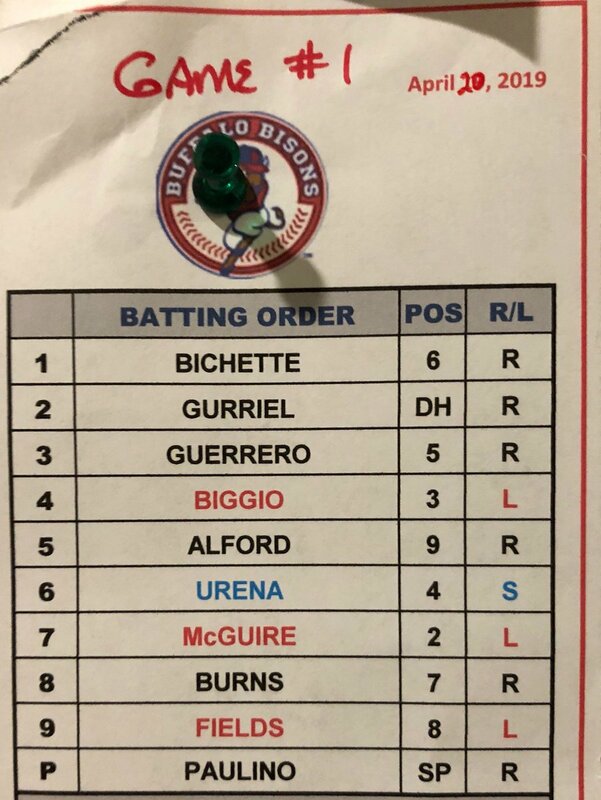 RT @PatWGR: The #Bisons starting nine for Game 1 against the RailRiders. Possible Unpopular Opinion: "50 First Dates" is Adam Sandler's best movie.